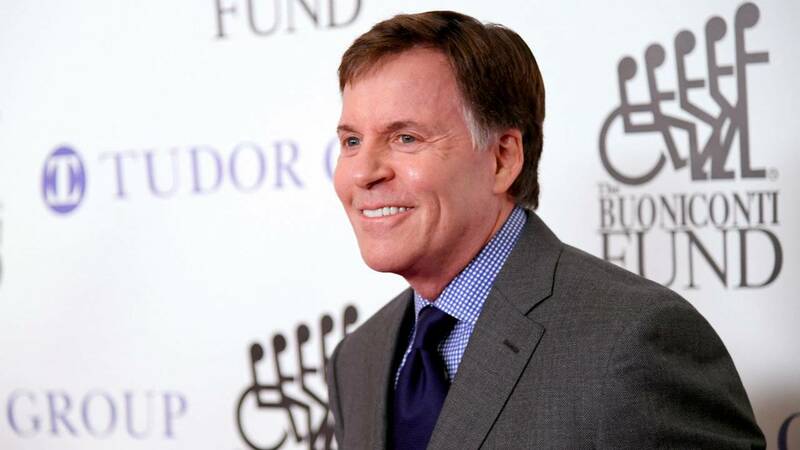 A legendary tenure in the sportscasting world officially ended this week, as Bob Costas concluded a 40-year career with NBC when the two agreed to mutually part ways. In that span, Costas was not only the preeminent face of NBC Sports and the sports broadcasting world, but possibly the entire NBC network. Here’s a look back at some notable facts and moments from Costas’ career at NBC. Costas was the host of NBC’s pregame coverage of the NBA Finals that year between Houston and New York, and he was visibly shaken talking about the developing O.J. situation as Game 5 of the Rockets-Knicks series was set to tip off that night in New York. While Costas and the whole nation had Simpson on their minds, Simpson also appeared to have Costas on his mind. Years later, Costas, during an interview, said Simpson called him from the Bronco during the chase. “So he actually then called the studio and a tech answered the phone ‘Studio 3b?’” Costas said. Costas didn’t spend much time as a basketball announcer in his career, but he did get to call one of the most memorable shots in NBA history. As Game 6 of the 1998 NBA Finals wound down, Michael Jordan hit the game-winning shot with 5.2 seconds left to give Chicago its sixth NBA title. “Jordan, open, Chicago with the lead!” Costas exclaimed as the shot went through the basket. It was Jordan’s last shot as a member of the Bulls, although he did return to the NBA for a brief stint with the Washington Wizards three years later. While Costas was versatile and did multiple sports, his true love was baseball, and he was on the mic for some of baseball’s greatest moments in the '80s and '90s. His first memorable call came during a regular-season game in 1984 between the St. Louis Cardinals and Chicago Cubs, when Ryne Sandberg of the Cubs improbably hit home runs in the ninth and 10th innings to tie the game each time. “Do you believe it, it’s gone!” Costas yelled as the ball sailed into the stands. In 1997, Costas was the play-by-play announcer for the World Series between the Cleveland Indians and Florida Marlins and announced the game-winning hit in extra innings by Florida’s Edgar Renteria in Game 7. Just when the U.S. television audience thought there wouldn’t be another Jim McKay, the host of ABC’s Olympics coverage in the '60s, '70s and '80s, along came Costas, who came into living rooms as the in-studio primetime host of every Summer Olympics from 1992-2016 and every Winter Olympics from 2002-14. One of his most famous calls came at the 1996 opening ceremonies for the Summer Games in Atlanta, when Costas belted out “But look who gets it next!” when Muhammad Ali was discovered to be the man who would light the torch. In addition to all the above, Costas did golf, horse racing and even a little NHL coverage in becoming a sportscasting icon. He also delved into the late night talk show circuit, hosting "Later with Bob Costas" from 1988-94. Do you think Costas is the greatest sportscaster of all time? Vote in the poll below.